Magazines can be difficult to store or display. They never seem to stand up right on the bookshelf and standard magazine racks may provide good storage but it's not always easy to find the magazine that you want right away. 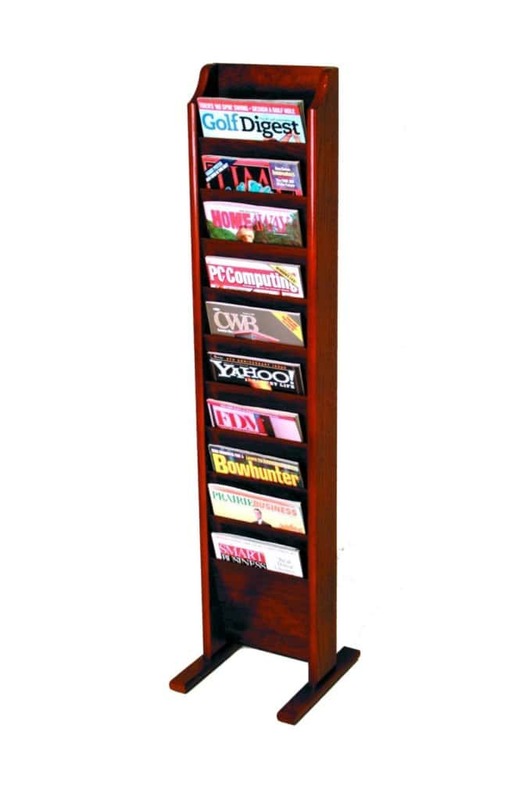 This Free Standing Magazine Rack solves both of these problems. It takes up only minimal floor space so is perfect for use in most home or office spaces. A great idea for waiting rooms, looks much neater than a pile of magazines on a chair or a table. This is a high quality Dark Red Mahogany rack and there are ten angled pockets which provide a lot of room for your issues. If you enjoyed this article you might like to check out the following articles.